Round and round the Brexit-wheel goes, where it stops, nobody knows. To make sense of the chaos, the vitriol and the never ending failure of governance, writer with Jacobin Mag and the Tribune and columnist with the Guardian, Dawn Foster, rejoins in the Tortoise Shack. Dawn talks us through the latest developments and the most likely outcomes from here. 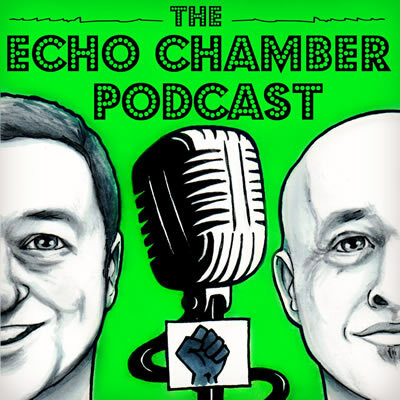 We discuss the increasing vitriol from emboldened wannabe fascists and ask not the Brexiteer question: Why doesn’t Ireland rejoin the commonwealth?, but the common sense question: Why doesn’t Ireland Unite? Posted in Brexit, podcast and tagged The Echo Chamber.